We are going to be studying the first book of the Bible. It is in the Old Testament, and is called Genesis. Genesis means origin or beginnings, to come into being. 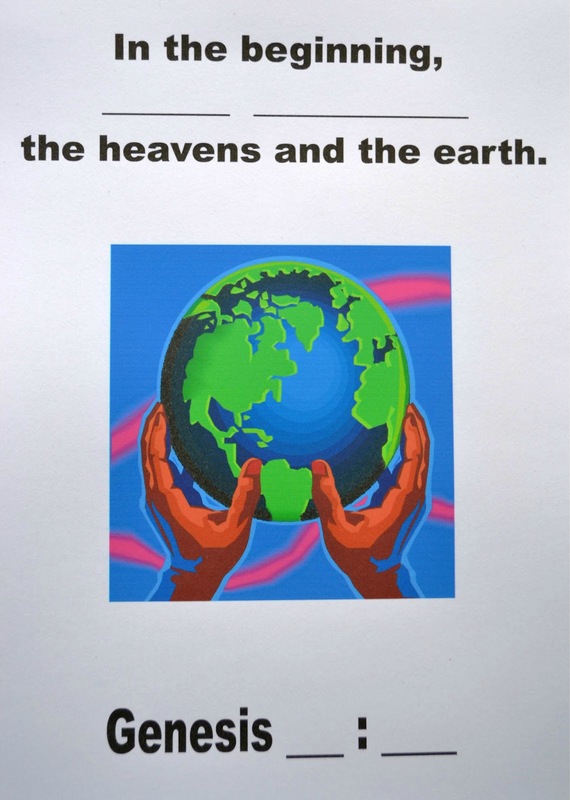 It was written by Moses and the very first verse says: In the beginning God created the heavens and the earth. Today, we are studying God's creation. Day 1: There wasn’t anything, the earth was without shape and God said “Let there be light.” What happened? There was light! God saw that the light was good, so He divided it from the darkness. Verse 5 says that God called the light ‘day’ and the darkness ‘night’. Day 2: On the second day, God made a great area to separate the water. It was the sky and God called it Heaven. Day 3: On the third day, He put the water in one place so the dry land appeared. 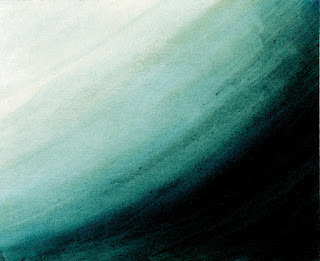 God called the dry land Earth, the water that was gathered together God named Seas. And verse 10 says that God saw that it was good. 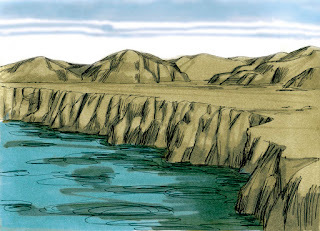 So, now that there is dry land, God decided that there needed to be something growing there. 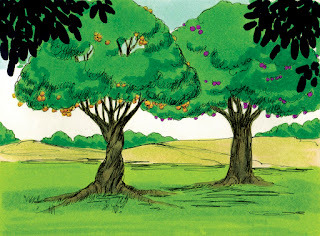 God said “Let the earth grow grass, herbs need to grow seeds and fruit trees need to make their own seeds.” Each one would make a seed that would keep coming back by making more seeds. And God saw that was good, too! Day 4: Next, God decided that there needed to be a light in the heavens. It would be used to have different seasons and separate days and years. So God put in motion the earth’s rotation. Then, God wanted a greater light for the day, which is? 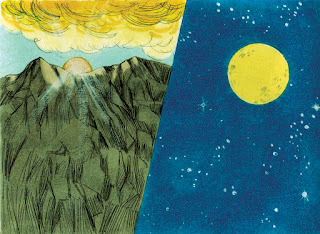 The sun And a lesser light for night, which is? The moon And He made the stars also. And God saw it was good. Day 5: On the fifth day, God wanted the water to have lots of creatures living in it. He also wanted birds to fly in the sky. So, in verse 21 Moses tells us that God made every living thing that moves and God saw that it was good, too. God said for them to reproduce and fill the waters and skies with more fish and birds! 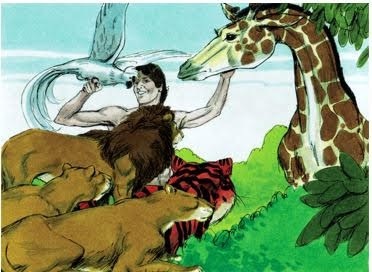 God formed the animals out of the ground and brought them to Adam and he gave them names. Then, God made Adam go into a deep sleep, and He took one of Adam's ribs and closed Adam back up. From Adam’s rib, God made a woman. God gave Adam the woman to be a helper. She was called Eve which means Mother of all living. Day 7: On the seventh day, God rested. 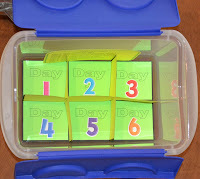 For this lesson, I purchased plastic containers, printed the daily divider, and as we talked about each day I handed out something to represent each day's creation fact and the students added it to their box. You do not have to purchase items if you do not want to, everything you need is free on the printable download. I found these really cute containers at Dollar Tree. I was looking for something different with a lid, and I found it! 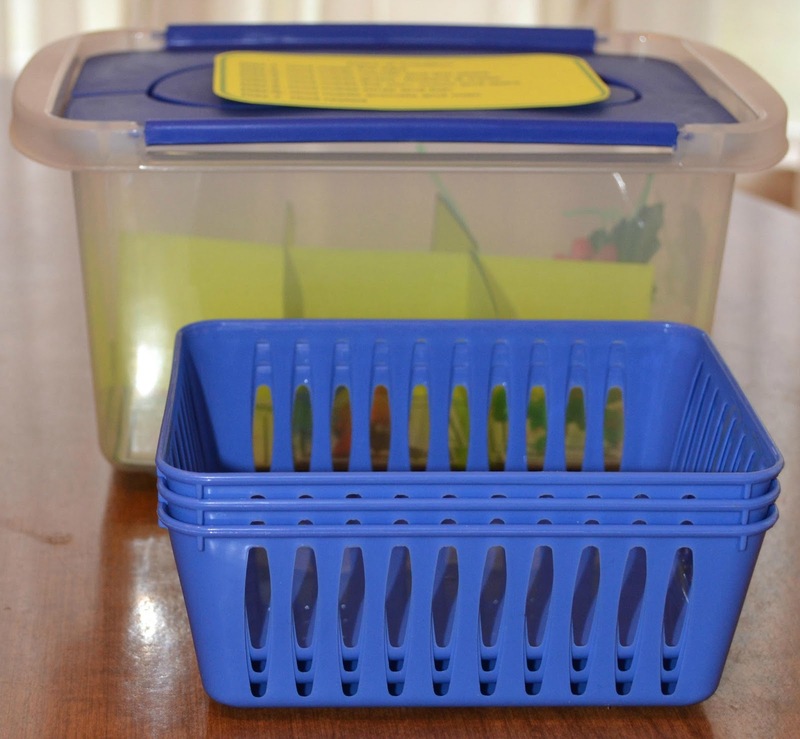 You can use any style container you can find, even the plastic baskets (like in the second picture). The inside bottom is 7.5 x 4.5, and that is what the printable is based on. Even though, it can be cut down smaller or larger. There is even a sheet that has the numbers in the center so you can print and fold up the edges to make your own holder. So, you don't even have to buy anything! These are the printables for the six days. Everything is on the first set (page 4) that you will need, so you do not have to print the last page. But, they are really cute to add! They are made to cut between the pictures, so there is not as much cutting to do. I put them in library pockets so they would not be lost when the kids are not using them. 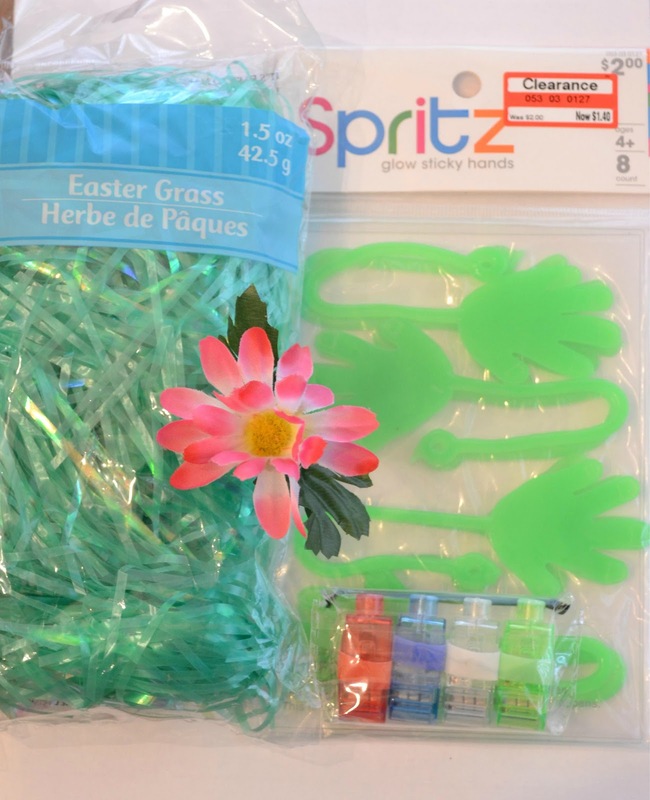 I did buy some extra hands-on items that I could find at Dollar Tree. 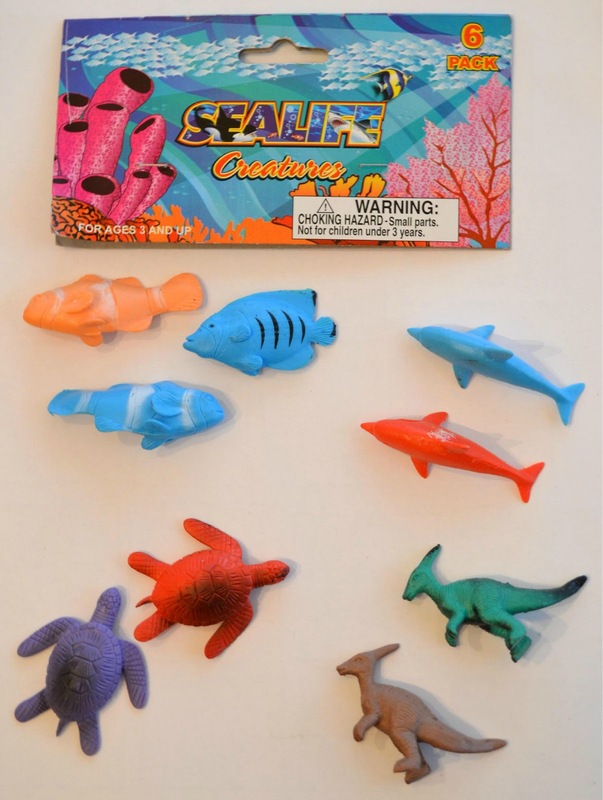 You see the fish, turtles, sharks, and dinosaurs in the first picture. 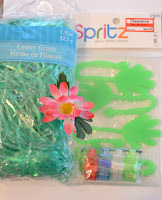 I also added frogs from my Moses stash! And, I did find some great small coiled cobra's at Party City for the snakes. The second picture shows grass, flowers, a little light that straps on your finger (cute!) and the sticky hand. I found the sticky hand at Target because God made everything. And the finger lights are here (Also sold on Amazon). I used cotton balls for the clouds and some foamy girl/boy for Adam and Eve. I purchased a space/planet theme foamy set for day 4 and used the stars, suns and moons for that day's handout. 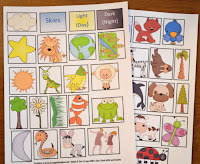 You do not need to buy the extras, everything is in the printables, but I think it is more fun learning for the kids. About the grass, it was getting on my nerves flipping everywhere, so I squished some together and used Scotch tape to secure into bundles. You can print today's project here. Here is an extra worksheet to the kids to draw a line from each item created to the day it was created. You can print it here in color or black & white. Click here to print today's Bible verse. There are 6 on each sheet (for a class). Click here to print a full page size Bible verse. 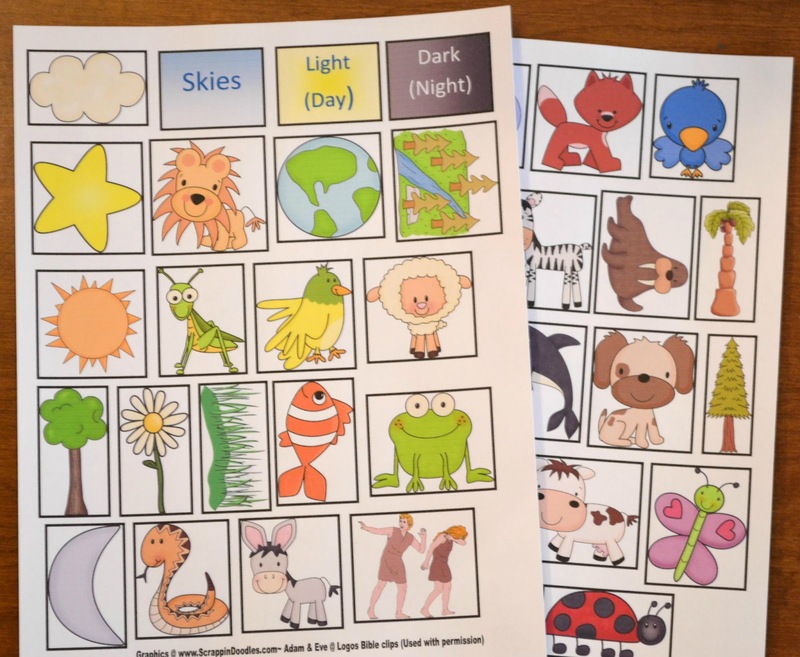 Click here to see the cut & glue worksheet that can be used by itself, or with the lapbook printables. Here are the lapbook printables. 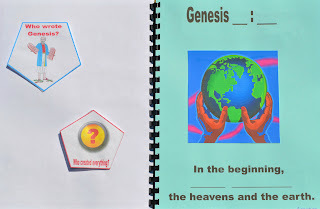 Click here to see all the Genesis cut and paste worksheets and lapbook printables. You can click on the buttons to see the following featured posts! This is very cute and I love the activity! I can't use it in my class since I teach at a public school, but I'm sending it to one of my friends at a Christian school to share with her coworkers. Thanks for stopping by... and I appreciate that you will share it with a friend! Thanks! So cute! I'm sharing you site on my blog. Dropping in from Titus 2 Tuesday. Thank you!I appreciate you stopping by also! Thanks for stopping by and leaving the invite to the linky party. I certainly will add a link to it! I'm co hosting Katherine's Corner Hop this week and came by to say Hello. I love this. Such a great idea. I have a toddler and this would be awesome. I'm also your newest follower. Hope you will visit my blog and hopefully follow me also. Thanks so much for stopping by! I appreciate the nice comment! I visited your blog and connected with Google + and Google Friends, thanks so much! I liked your blog, and I'll be visiting again! It's wonderful when a church has a children's group & teaches them on their level. My children went to bible classes for a while when they were little because I was working back then. They were always coming home with some sort of art project that they had done, but in bible fashion. Definitely worthy of our refrigerator showcase or grandma's. I know this was made for a class of kids but I am going to be using it for some Bible and comprehensive (number and word recognition) studies this fall with my 5 year old! Great job. Thanks for stoppping by! I will also be using this with my granddaughters at home. Thanks for the nice comment, and glad you can use it! I love those containers! What a neat idea to incorporate hands on learning. Thanks! I appreciate the nice comment! This is awesome! 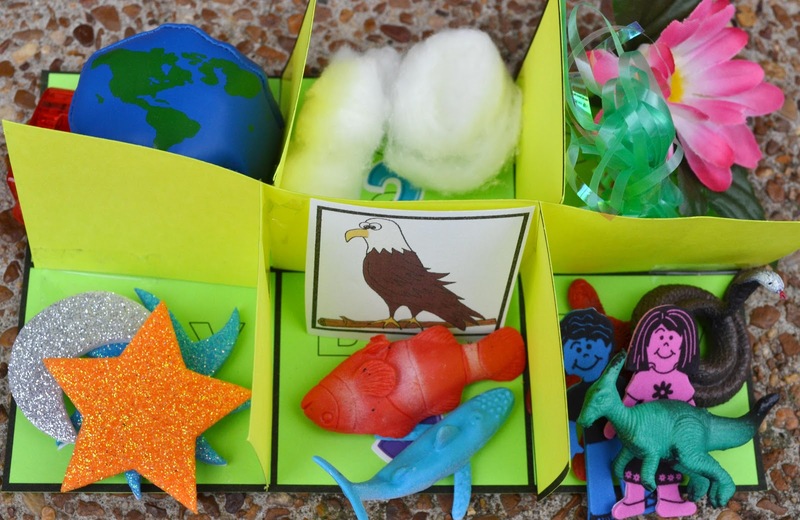 I love that each day the kids had something new in their box to tie in to the creation fact. VERY SMART! Thanks for sharing at the After School Linky Party! Thanks for sharing at The DIY Dreamer... From Dream to Reality! Looking forward to seeing what you have been up to tomorrow evening! I love the box idea! 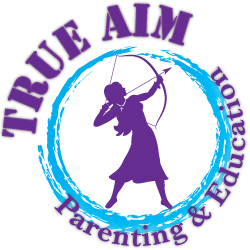 We have a link-up called From House to Home and would love to see you there on Thursdays! Thanks for stopping in! I will be sure to check out your link-up, thanks for the invite! Thank you for sharing these wonderful resources! THANK you so much for featuring this Creation post! I really appreciate it and the time you take to host the link-up! Thanks again! Featuring your post on our HUGE list of things to do on a Rainy Summer Day! 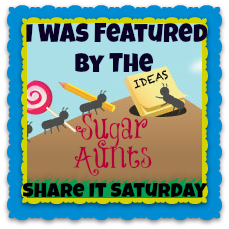 We'll be sharing with all of our social media followers and group boards :) Thanks for sharing with us at Share It Saturday! YAH! I am so excited! Thanks so much for featuring Creation! I really appreciate it, I can't wait! I added the buttons and I am your newest follower! Thanks so much! I love this! I am so not gifted in coming up with creative ideas like this so I am grateful to those who do!! Thank you so much for linking up with me last week at Walking Redeemed! Thanks so much for stopping by! Thanks again for hosting! Thank you for sharing! I am your newest follower...can I ask what grade you teach? We use ACSI bible curriculum and this will be a great addition, but I teach preK...do you think some of it is too much for them? Thanks for stopping by! 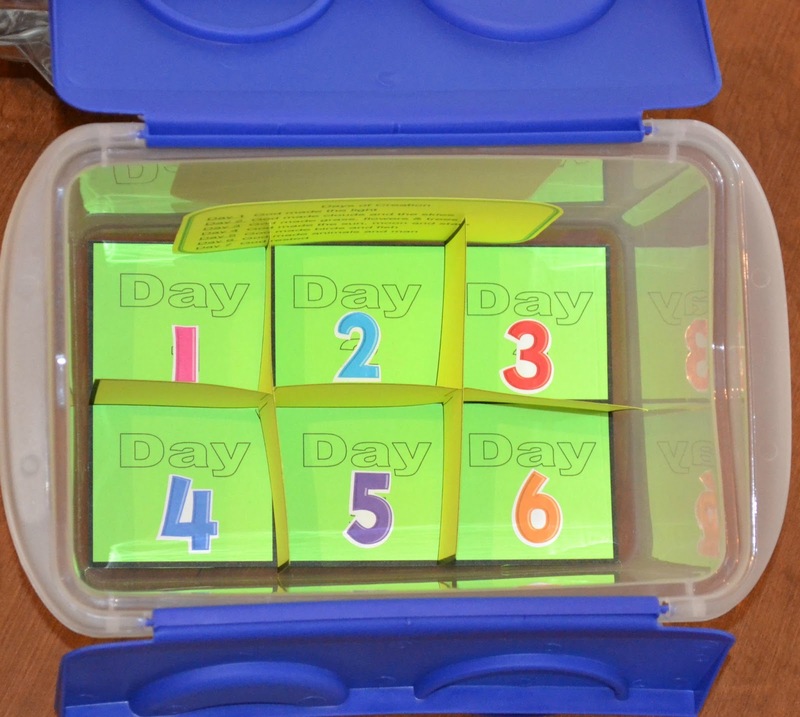 I teach 2nd grade, but I babysit my preschool grandkids, and I plan to use this with them. Some lessons, would need to be changed for preschool, I also have some preschool, including creation, on the blog. I plan to add more in the Fall & Winter as I make stuff for my grandkids. I think, this hands-on creation will work for preschool, though. Oh, had a look at your blog, and I LOVE the topper! I followed you back with Blogloving and Google Follower... Can't wait to see more of your ideas! This is amazing!! I just started teaching the Sunday school at my church and if anyone has any good ideas i need them. I teach 6 yrs to 12. Please send me anything that can help. Thanks for stopping by and leaving the nice comment! I'd appreciate it if you could share the blog with other teachers! This is awesome. I am using the creation week as a part of my preschoolers summer curriculum. These arts and crafts are wonderful and my 3 year old loves them!! Thank you, thank you, thank you!!! These pages are awesome! I shared the link to your page with my homeschool mom friends! Looks like some great ideas for creation there. Found your site via pinterest. I was looking for a "matching the days of the week to the things that were created" sheet for VBS. Thanks. This isn't posted yet. 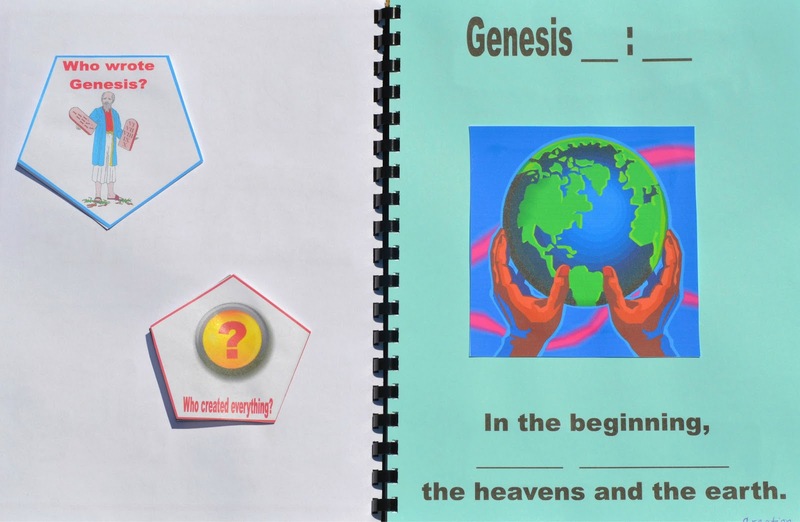 But, you can download the Creation Connect worksheet @ http://tinyurl.com/y74a63a7 Thanks for stopping by! I love this. I am a homeschool mom and we have just started studying the bible. This is perfect.